The law defines “person with a disability” to include: (1) individuals with a physical or mental impairment that substantially limits one or more major life activities; (2) individuals who are regarded as having such an impairment; and (3) individuals with a record of such an impairment. In coming up with an appropriate policy it is important to understand what is a request for an “accommodation.” A request for an accommodation maybe a request to allow a disabled person to do something that would normally violate the governing documents. Accommodation requests can relate to any of an association’s rules, policies, practices, or services in order to allow the disabled person to have full use of their home and community, which they would not otherwise have as a result of their disability. Some common types of accommodation requests seek exceptions to pet restrictions or parking rules. An accommodation request could also involve a request to modify a unit or common area. This type of request is called a request for reasonable modification. A reasonable modification is an alteration to the physical premises allowing a person with a disability to overcome obstacles that interfere with his/her use of the dwelling and/or common areas. These are typically structural changes which are necessary to accommodate a person with a disability. Who and why – The first step in responding to a request for an accommodation should be to make sure you know who is making the request, and why. A policy should start with identifying the person making the request, or on whose behalf the request is being made, if not the same person. Timeframe for response – Associations need to respond to accommodation requests relatively quickly. An undue delay in responding may be deemed a failure to provide a reasonable accommodation and expose the association to potential liability. 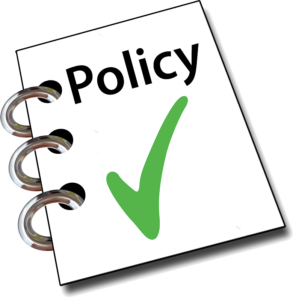 A policy should contain a timeframe within which the association will issue its initial response. The initial response – Responding to an accommodation request can be tricky. Legal counsel should be consulted at this stage to provide some guidance. If a disability and the need for the requested accommodation are obvious, the association may not be able to ask for any additional information. Accordingly, the policy should state that the response will simply acknowledge receipt of the request and inform the requesting party of the date the board will consider the request without requesting additional information. The policy may state that if the disability or the need for the particular accommodation requested is not obvious, then the Association may request additional information before the board considers the request. The additional information request can include that the party requesting the accommodation provide a letter from their healthcare provider that includes (1) confirmation of the healthcare providers knowledge of the requesting party’s condition, (2) confirmation of the disability, and whether the disability is permanent or temporary (unless the disability is obvious) and (3) confirmation that, in the medical opinion of the provider, the requesting party needs the requested accommodation to have equal access and opportunity to use and enjoy their home. If the request relates to an assistance animal, the response can request confirmation that the animal provides disability related assistance or emotional support. The initial response should not ask for copies of medical records, and any information received should be kept confidential. Once the requested information is received, the requesting party should be advised of the date the board will consider the request for accommodation. Interactive process – A policy should define an interactive process to engage in with a person requesting an accommodation to determine whether the request constitutes a reasonable accommodation or modification under state and federal fair housing laws. The process may include written requests for additional information or clarification of what is being requested or proposed alternate effective accommodations. Part of the interactive process may include determining if the requested accommodation is related to the disability of the person requesting the accommodation. Board consideration – A policy should state when the board will consider the request. This should be at the next scheduled meeting after any requested information is received. Further the policy should state a timeframe as to when the party making the request will be notified of the board’s decision. Again, this should be done shortly following the meeting. A board should consider a request to be reasonable so long as there is a direct connection between the accommodation and the disability, and the accommodation will not impose an undue hardship or burden on the association or it will not fundamentally alter the nature of the association’s responsibilities. Placing unreasonable conditions on granting the request, or unreasonably delaying approval can be found to violate fair housing laws. Implementation of approved requests – The policy should state that when an accommodation request is granted the board and/or community manager will work with the requesting party to implement the accommodation. Depending on the request this could include, for example, reassigning parking spaces, approval of plans or specifications (in the event the request is for a modification of common area or a unit), determining who is responsible for the costs of installation, maintenance and removal of a modification. Generally the association must cover the costs resulting from an accommodation so long as it will not cause an undue financial or administrative burden or fundamentally alter the nature of the association’s operations. The party making the request bears the costs of a modification whether to common area or a unit. However, the association will bear the burden of maintenance of a modification if it is in the common area normally maintained by the association. Records – In dealing with an accommodation request, there will likely be various written correspondence. The association should maintain all related correspondence and other records related to the accommodation request, including the association’s responses and decisions. Responding to an accommodation request does not have to be scary. Adopting a policy for an association to follow goes a long way to successfully addressing accommodation requests properly. But there are several stages where boards and managers can get tripped up in the process. Therefore, it is important to get the association’s legal counsel involved to guide the board through the process, especially where the disability is not obvious, or additional information is needed to determine if the request is reasonable or related to the person’s disability.